Suzanna Ross is set to bewitch audiences at Don’t Tell Mama on February 7 at 7 pm with magical and romantic love songs that draw from American, British and French songbooks, spanning numerous styles and generations! If it’s jazz, theater and pop you crave or French chansons, bossas, movie songs or country, you’re in for a treat in this new show “Bewitched.” A song for every taste as well as a few surprises. Piano and musical direction is by Gregory Toroian, with Skip Ward on bass and David Silliman on drums. Suzanna Ross trained in the performing arts on a Dame Peggy Ashcroft scholarship at the British American Drama Academy (BADA) in London, England. She then returned to New York City performing in television commercials, off Broadway productions, and Shakespeare festivals which included song and dance. 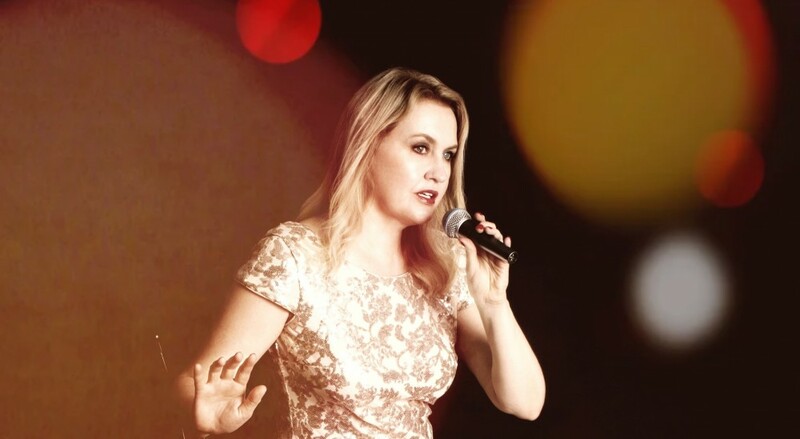 Over the past few years, she has returned to her performing roots singing at venues in New York City, such as the Metropolitan Room, Triad Theater, Pangea, and in New Jersey at the famed jazz club, Trumpets. © 2019 Suzanna Ross. All Rights Reserved. Powered by HostBaby.